No. 1 River Landing Condominium is the residential component of the mixed-use “River Landing” development of River Landing Area in Saskatoon. 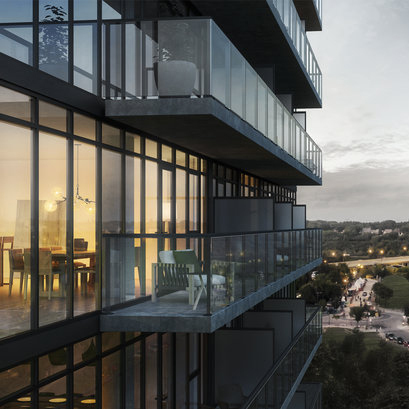 The 20-storey condo tower is a fusion of sophisticated modern design, high-end finishes and spectacular views of the South Saskatchewan River. 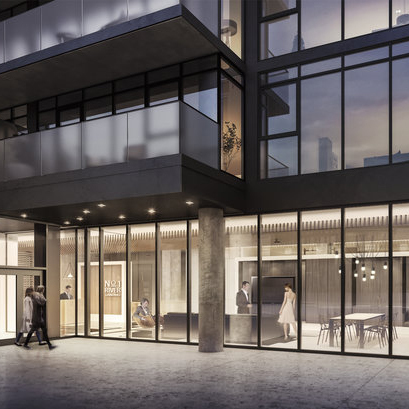 Approximately 120 units, the condo tower offers “urban chic” interiors, with huge floor-to-ceiling windows, engineered hardwood floors, exposed concrete ceilings and columns, European style kitchens and bathrooms, and creative, flexible layouts. 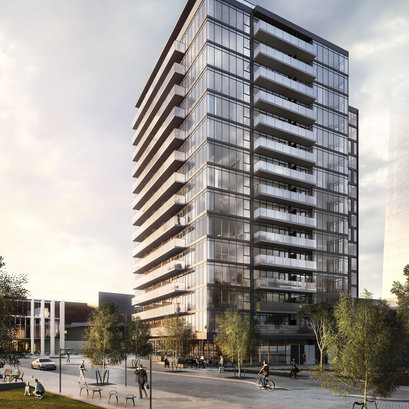 The project is being delivered by Urban Capital together with Saskatoon-based Victory Majors Investments Corporation. aodbt has played an active role on the project as the local architectural firm, with LEMAYMICHAUD as the design lead. The project is currently under construction.